What will the UK's relationship with the EU look like after it officially withdraws? The situation has been highly speculative since the UK voted to leave in June 2016 and uncertainties increase especially as negotiations face difficulties on the EU level as well as in the UK itself. 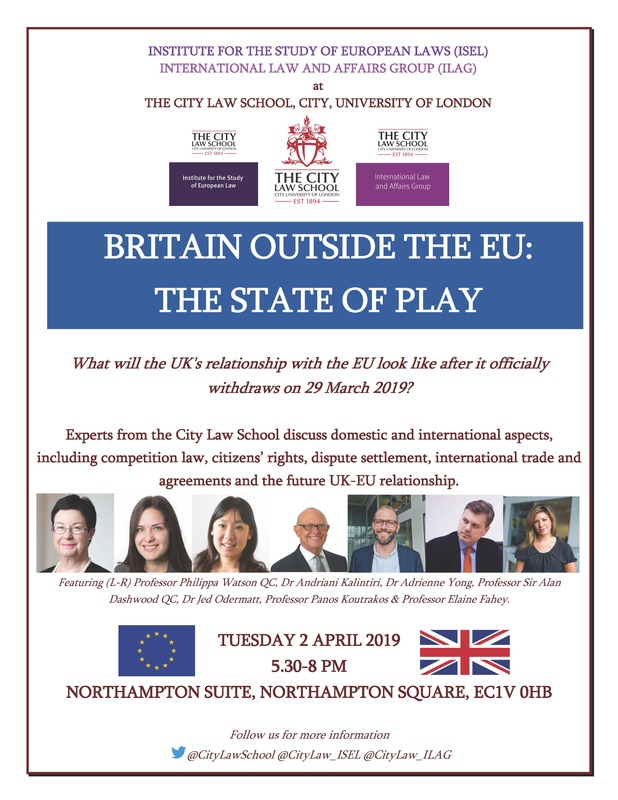 Experts from the Institute for the Study of European Laws (ISEL) and the International Law and Affairs Group (ILAG) at The City Law School will examine the state of play after the official date of withdrawal in two broad areas - those with a domestic aspect, and those with an international aspect. They will look at competition law in the UK, EU citizens' rights and the future relationship between the UK and EU and international trade, international agreements and international dispute settlement after Brexit. In two short sessions, the panels aim to provide an overview of the state of play.